Ultimate capsule collection for aged, prematurely aged or dry skin. 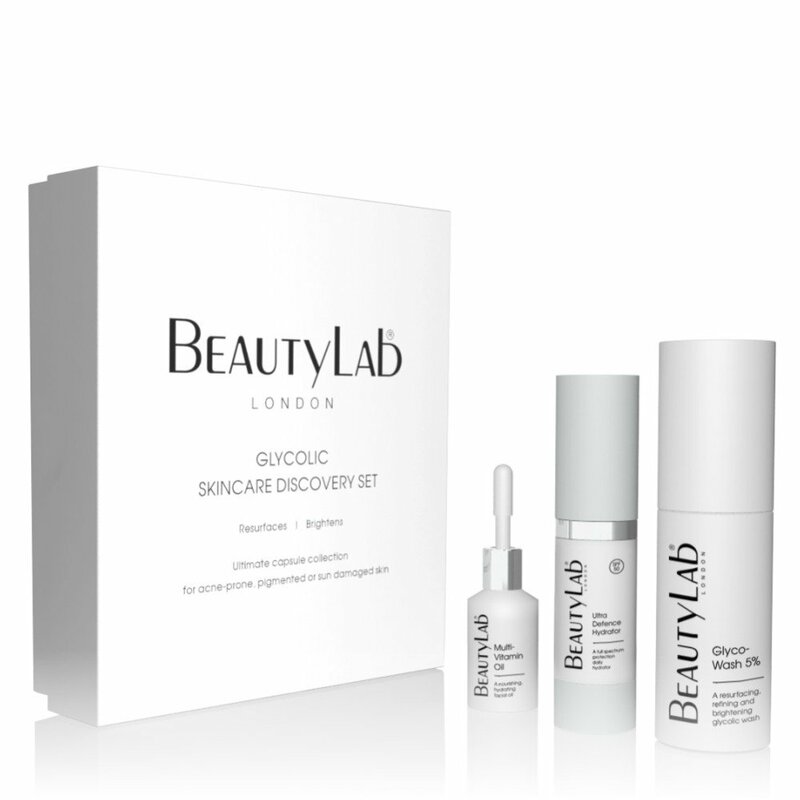 The perfect introduction to our advanced BEAUTYLAB® ANTI-AGEING skincare products and treatments, specifically formulated for aged, prematurely aged or dry skin. 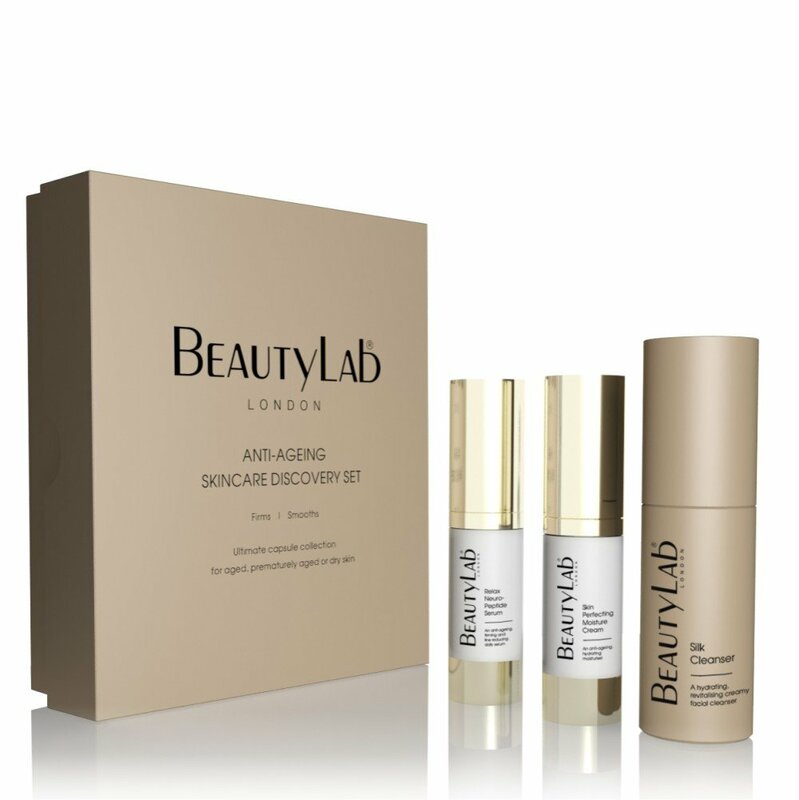 Revealing beautiful results every time, the collection contains a trio of travel-sized signature products, rich in anti-ageing peptides and highly active plant derived extracts, to unveil a smooth, revitalised and more youthful complexion. A refreshing creamy cleanser with a blend of silk, jojoba, pomegranate and skin smoothing papaya. It will leave the skin hydrated, soft and clean, with a fresh radiant glow. A moisture matrix serum formulated with hexapeptide-8 and tripeptide-1, to visibly reduce fine lines, firm and promote youthful looking skin. 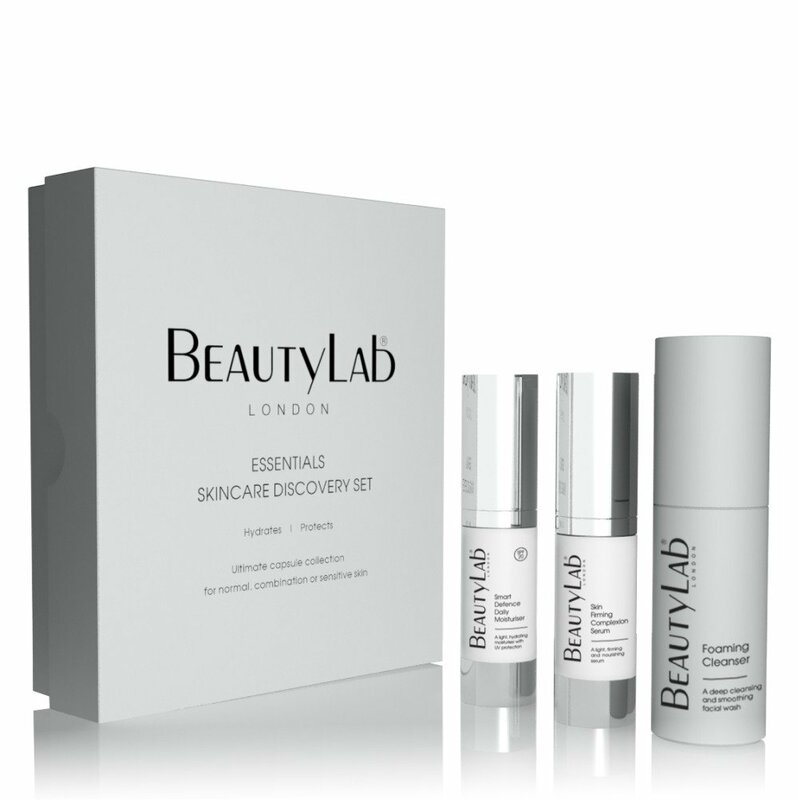 Contains anti-ageing collagen tripeptide microspheres, antioxidants, vitamins and uniquely formulated liquid white diamond and ruby, to stimulate collagen synthesis and reduce the signs of wrinkles.